Oslo, capital city of Norway, is one of the most famous cities in the world. It offers numerous attractions for tourists and an amazing blend of historic architectures and modern day activities and amusements. Although it is a small city, it is of no doubt that it attracts many tourists yearly with it impressive and beautiful sights. 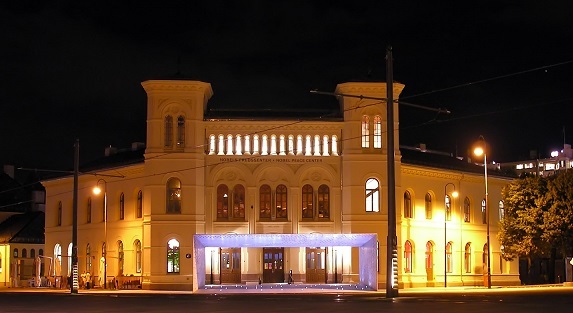 Here are the top four attractions of Oslo that the tourists must-see. Oslo’s opera house is its one of the most stunning buildings, and draws thousands of visitors to enjoy operas, classical ballets, and many other performances. The building, located at the centre of the city, has beautiful white carrara marble and granite that makes a sparkling masterpiece. It is the first opera house in the world where the roof is build to provide a walking path down to the water’s edge. Visitors can experience the cultural and traditional vibes with performance as well as ambiance. Additionally, the restaurant present in the house provides some best food in town. The Nobel Peace Center provides all the information, via some interesting illustrations, regarding the works of the Nobel Peace Prize winners. It illustrates what made the laureates worthy of that title by showing the ceremony recordings and films to the visitors. Their innovative and revolutionary works make people aware of the interesting facts of the country and inspires a sense of patriotism. Not only this, it indulges teens and children in various fun activities throughout the year. The Akershus Fortress, one of the most important medieval castles, was built by King Håkon V in 1929. It protected Oslo from numerous attacks through the ages because of its strategic location. The renovations of the famous buildings continued after some years of its construction. The Norwegian Government still consider it as a major spot for their officials occasions and functions. Visitors find the castle as one of the prominent destination to revive their cultural heritage. 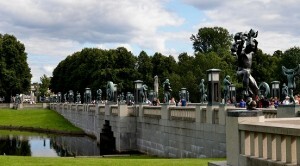 Vigeland Park is one of the most beautiful and worth seeing places of Oslo. Because it is located in the district of Froger, it is called Froger Park. It was designed by Gustav Vigeland and displays 214 bronze statues and symbolizes nature, life, and eternity. One of the most prominent sculptures ‘The Monolith’ is placed at the center of the park. This 17-meter high monument was molded from one piece of granite and is most attractive piece of the park.